Maine Mendoza aka Yaya Dub and Alden Richards just got married—well, their characters on Eat Bulaga’s Kalyeserye, at least. 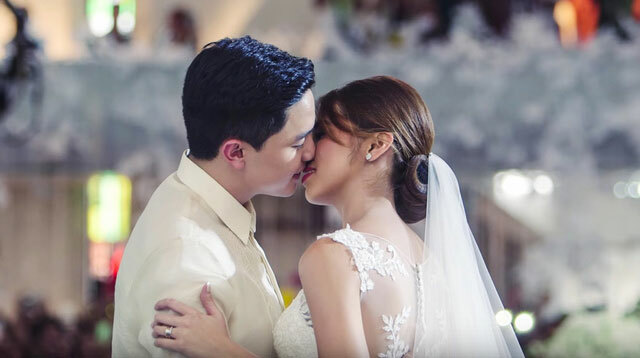 AlDub tied the knot in a televised wedding ceremony (but of course) on Saturday at the Shrine of Jesus the Divine Word in Quezon City. And like most celebrity weddings, the whole event was covered by a celeb wedding videographer—in AlDub’s case, it was none other than Jason Magbanua. AlDub went all out by having FOUR wedding videos made by J Mag himself (Yup, we all know his videos are far from cheap! ): an SDE, the bride and groom each having a BTS vid, and the wedding prep at the church.